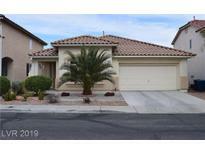 Below you can view all the homes for sale in the Monaco subdivision located in Las Vegas Nevada. Listings in Monaco are updated daily from data we receive from the Las Vegas multiple listing service. To learn more about any of these homes or to receive custom notifications when a new property is listed for sale in Monaco, give us a call at 702-323-5933. Great central location in Monaco Community MLS#2085764. Realty Executives of SNV. Features include: Outstanding Open Area Gourmet Kitchen with adjacent Spacious Family Room with Vaulted Ceilings, Large Master Bedroom with Luxurious Bath-Property is professionally landscaped front and back & is low maintenance-Washer, Dryer & Frig included MLS#2086743. Realty ONE Group, Inc. Schedule your private showing today!!! https://youtu.be/MRmBDjhxqgc MLS#2086836. Addicted Realty LLC. 1 gar has been converted to home office. 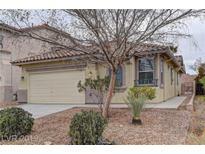 Superb location near Summerlin. MLS#2086262. Rhodes Ranch Realty. 2 Story, 3 Bedrooms And 2 Bathroom House, Convenient Location, Large Backyard, Minutes Away From Park. MLS#2086464. New Era Realty LLC. This Las Vegas two-story home offers an in-ground pool, a deck, a loft, and a three-car garage. MLS#2085172. Opendoor Brokerage LLC. Great amenities include tankless water heater, water softener, purifying system, & new pool pump. MLS#2084061. Purplebricks Inc. Schedule Your Showing Today! Don't miss it! MLS#2082748. Golden Assets & Property Mgt. Tiled & carpeted floors throughout the living room and kitchen~Separate laundry area located on the 2nd floor~ Large master bedroom w/2 walkn closets w/mirrored closet doors, his&her sinks in master bath~2 A/C units for ea level~ Beautiful b/y with patio area to view the delightful palm trees, cactus, well trimmed lavender bushes. MLS#2080225. Limestone Investments LLC. Great shopping and restaurants near by. MLS#2080931. Vegas One Realty. You wouldn't want to pass up this opportunity! MLS#2080739. Stonegate Real Estate Services. Huge master bedroom with walk in closet, all oversize bedrooms, This home is a must see!! ! MLS#2079467. Source Realty. Great home in the Southwest area, minutes from parks, schools, the strips, shopping~3 bedrooms, den, 2.5 baths, 2 garages~Ceramic Tile flooring, good sized backyard~Covered patio area is great for entertaining~Make an offer TODAY!! ! MLS#2079406. BHHS Nevada Properties. A lot of upgrades. Must see! MLS#2078410. One Stop Realty. Close to shopping centers,and transportation.Wood floor, carpet and tile thru out. MLS#2076745. Coldwell Banker Premier. good size with each bedroom. Conner lot . MLS#2074220. Las Vegas Realty LLC. Schedule Your Showing Today! Don't miss it! MLS#2071586. Golden Assets & Property Mgt. THIS IS A MUST SEE!!! Open house Saturday 3/30/19 MLS#2065638. Las Vegas Realty LLC. and master bedroom and 2 other guest room are upstairs. Landscaping is covered rocks. MLS#2060231. O'Harmony Realty LLC. Great Open Floor Plan With An Addition Of Approximately 600 Sf (not Permitted But Professionally Done) Home Features 3 Bedrooms, 2.5 Bathrooms With A 2a Garage. No Need To Preview Here. MLS#2051870. Power Real Estate. Pool is Pebble Tech and self-cleaning, Jacuzzi, Waterfall. Water Softener! MLS#2045471. Simply Vegas. Big back yard with covered patio, built in BBQ, & mini golf. MLS#2043276. King Realty Group. ** Fantastic Spring Valley Home With Oversized Backyard ** 3-car Garage With Built In Storage Room ** 1bd And 3/4 Bath Downstairs ** Open Airy Floor Plan With Sunny Kitchen, Island, Granite Countertops, Pantry, Family Room Off Kitchen ** Formal Living And Dining Room Upfront ** Covered Porch** Upstairs Large Master With Walk-in Closet ** Loft Upstairs ** Laundry Room Upstairs ** Come And See! MLS#2029281. Keller Williams Market Place I. Newly upgraded home with new paint, wood flooring on 2nd floor, tiled first floor, 4 bedrooms 3-3/4 baths with 1 bedroom and 3/4 bath down. Must see to appreciate. MLS#2025499. 1st Priority Realty, LLC.